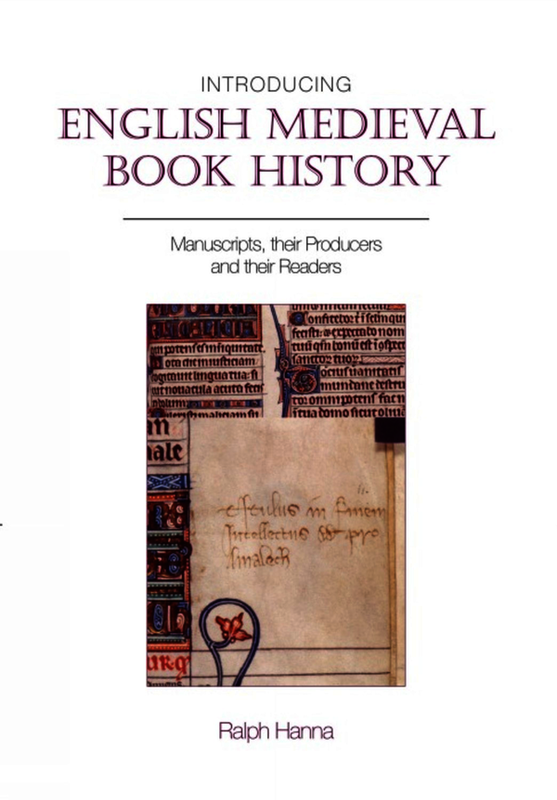 This book offers an introduction to medieval English book-history through a sequence of exemplary analyses of commonplace book-historical problems. Rather than focus on bibliographical particulars, the volume considers a variety of ways in which scholars use manuscripts to discuss book culture, and it provides a wide-ranging introductory bibliography to aid in the study. All the essays try to suggest how the study of surviving medieval books might be useful in considering medieval literary culture more generally. Subjects covered include authorship, genre, discontinuous production, scribal individuality and community, the history of libraries and the history of book provenance. Ralph Hanna is Professor of Palaeography (Emeritus) and Emeritus Fellow at Keble College, Oxford. He is a former Guggenheim Fellow, former Fellow of the Radcliffe Institute (Harvard University), and winner of the British Academy Sir Israel Gollancz Prize for English Language 2015. His books include Editing Medieval Texts (Liverpool University Press, 2015) and Introducing English Medieval Book History: Manuscripts, their Producers and their Readers (Liverpool University Press, 2013).